From the SOS Webcast Archive: SOS Educational Webcast: Do This, Not That: How Do Your Procedures Measure Up? For a lot of equity professionals, summer brings a welcomed slowdown and some much-deserved time off. Is the beach calling you? Family headed out for a camping trip? Kicking back at home for a stay-cation? In between your downtime away from the office, don’t forget that summer is jam-packed with networking and educational opportunities at local and regional levels. We love gossip! Send us tender tidbits about people & players in our industry for our Xpose column and (with approval) we will share them with you. Vacation pics, job changes, new additions to the family, and more are what people want to read about. Send us leads to xtra@sos-team.com. As a consultant, I get the opportunity to see many different styles of common practices such as a monthly roll-forward. It’s a somewhat simple file that pulls together the equity plan activity for the month, so that the administrator can summarize what has been granted, exercised, or cancelled, and how that has affected the shares available to grant. Most equity systems have a report that covers these numbers nicely, but the powers that be always like to have it proved out, with all the details available for support. And as a benefit for the administrator, it can also act as a helpful tool in finding retroactive changes that may have been made in the equity system over the course of the month or quarter that were possibly entered erroneously, or just need to be accounted for in the current period. The problem I have encountered quite often is that the files that have been created to accomplish this task are not always easy to follow, let alone update for the new period. A new file needs to be created for the new period, new data brought into the file, and a new summary added to show the flow of activity. How can you make that easier for yourself as well as for those reviewing? Here are just a couple tips I try to implement when I am given the freedom to improve a process like a roll-forward. 1. Keep the summarized source data in the same cells. Assuming you keep each type of activity in separate tabs, find a place at the top of the data, possibly within the report header rows (and maybe off to the right side of the data), where you can put a table that summarizes that sheet exactly how you need it. This is where you would then use the convenient and easy-to-use SUMIFS function, gathering the data you need by equity type and categories such as different equity plans. Make sure to have a sanity check built in to make sure that all shares existing in the data are covered in your table (the yellow cell below checks that final number against the report). 2. Use “absolute” cell references in your Period Summary. Your Roll Forward most likely has a bunch of historical tables for past periods. When setting up the new summary, in each data field, point at the correct cell in the applicable tab, and make that reference absolute. For instance, if what you want is cell AV2 in the Exercises tab, when you click cell AV2, then hit the F4 key so that the formula references $AV$2 (or just type $ in front of the column and the row, within the formula). Because the tables you set up in Tip #1 above do not change location, this reference should also not have to change when you copy the summary down for the next period. The important caveat for this to work is to copy the summary down to create a new period’s summary BEFORE updating the data in each of the tabs. Once this copy is done, THEN you will need to copy and paste the VALUES of the data in your old table, so that when you update the source data, the old period is not affected, but the new period’s data is automatically populated. 1. Copy your old roll-forward to a new file and rename it for the new period. Inyour SUMMARY tab, copy the entire table(s) of the old month containing the references to the source data down to a new table, to represent the new month. Since all the source data references are absolute, they are still pointing at the exact same source data. 2. Copy and paste values for the table of the OLD month, so that the data will no longer change for the old month. 3. Update your source data tabs with the new month’s data, and ensure all old month data is gone. Your summarized source data should automatically update with the new data, and in turn, your SUMMARY tab is then also automatically updated. Of course, there are often aspects to these files unique to the different situations that exist at each company that may make things a bit more complicated. My hope for you is that you can use these tips to simplify some of your repetitive processes, leaving you more time to focus on the complicated ones! "The best answers are not always the most complicated ones!" - Sarah Roberts, CEP Stock & Option Solutions, Inc.
● Sarah Roberts, CEP, Stock & Option Solutions, Inc.
Are you following SOS on LinkedIn? Get important industry updates, stay current with what’s happening at SOS and much more. To help you avoid errors, and to help you save time, SOS Payroll Xpress has been developed to assist stock departments by instantly generating importable files and providing audit reports for review prior to loading the data into the payroll system. The application can generate the files in both CSV and XML depending on the preferred format. SOS Payroll Xpress is an MS Access application which does not require any installation. A few setup steps quickly automate the process of generating the files. ● SOS Payroll Xpress is an MS Access application and therefore does not require any installation if you already have MS Access installed. With minimal IT support this application can easily be deployed on your network. ● Since SOS Payroll Xpress is deployed at your site, data security is guaranteed. Data never passes beyond your firewall. ● Reports generated by the current equity administration platform provide the data for SOS Payroll Xpress. ● SOS Payroll Xpress currently supports standard reports from the most popular equity administration platforms. SOS Payroll Xpress can be easily customized to support source reports from other equity administration platforms. ● SOS will assist and directly work with the client's stock administrators to implement SOS Payroll Xpress. ● Data diagnostics generated by SOS Payroll Xpress can be used to review and correct any data issues prior to uploading the data to the payroll system. ● Automatic generation of import files ensures data accuracy with no manual intervention. ● Since the SOS Payroll Xpress supports standard reports from equity administration platforms, data preparation time is limited to generating the required source reports. Check out our SOS Solutions Webcast: Savin’ Time with Tech Tools where we review Payroll Xpress in detail. SOS Payroll Xpress is a solution that works. Reduce your time and frustration. Lisa has been with SOS for three of her twenty years in equity administration. She’s worked with companies in the Dallas area such as Metro PCS and Allegiance Telecom, an integrated telecommunications company and US Concrete. Lisa’s specialties are: Tender Offers, Mergers, IPO, special stock related projects, in addition to Stock Plan Administration including Proxy Statements, 10Q & 10K equity support and Section 16 filings. Trivia about Lisa: She served on the Carrollton city council for six years, from 2009 to 2015. She is an honorary Admiral in the Texas Navy and she currently puts her leadership skills to work serving as one of the members of the Board of Directors for the Metrocrest Hospital Authority. When your boss thinks you are goofing off working from home, just show them this article. How did you celebrate 423 day? SEC cracks down on ignoring compliance with Rule 701. Taxation of private company awards changing? Read up on IRC Section 83(i). Good luck to all those registered for the June 9, 2018 CEP exam! For more information on upcoming deadlines and tests, click here. Springing into a new job… Georgina Lai is a Senior Principal, Equity for Pivotal. Nina Chellew is a Stock Administrator Manager at 23andMe. Madori Playford is a Stock Administrator at Credit Karma. Matthew Maher is now the Manager, Direct Service at Solium. SOS’s Tim McCleskey is the new Manager, Financial & Reporting Accounting. Deborah Rodney is the new National Membership Manager for the NASPP. Michael Raissis, CEP has joined the San Francisco office of Oppenheimer & Co. Inc. He will be partnering with the 130-year-old Firm’s Corporate and Executive Services Group, working with corporate executives on their wealth management and equity diversification needs, as well as broad-based stock plan administration services through a partnership with a leading cloud-based platform in our industry. Looking out new windows… SOS has a new address effective June 1, 2018! Our new headquarters address is: 1475 S. Bascom Ave Suite 203, Campbell, California 95008. And the award goes to… SOS’s Sorrell Johnson and Ben Needham were awarded the prestigious 2018 CEP Volunteer Excellence Award at the March Symposium. Congratulations to our team members and to all recipients! In the spotlight…SOS’s Lisa Sutter is featured in her town’s local media online publication on her time as a city council member. 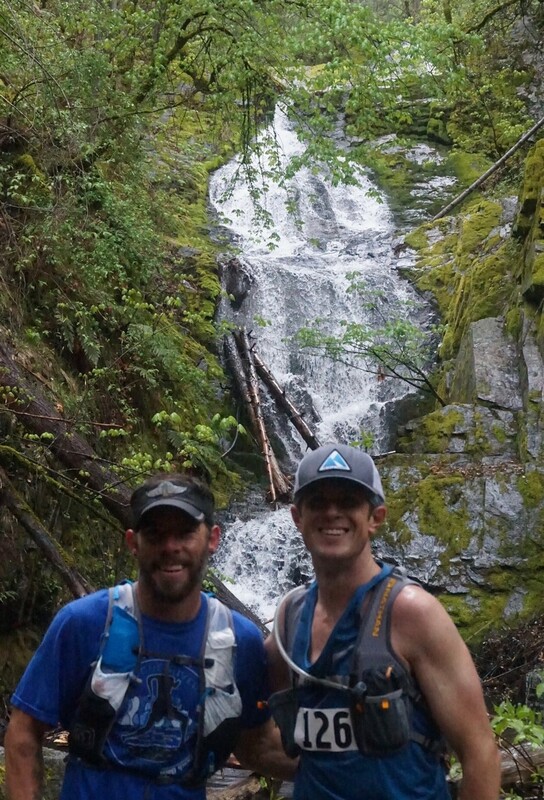 Going the distance … SOS’s Tim McCleskey completed his first trail 50k run in Redding, California in April and is training for The North Face 50-miler in November in the Marin Headlands. Industry News… SOS is looking to hire Account Managers in the Greater Nashville, TN area. The Account Managers will be responsible for the stock administration plan operations and activities for 10-15 clients. 3-5 years of experience in corporate stock administration with a strong understanding of business, regulatory, technical requirements. For a full job description contact Carole Dubas. The 26th Annual NASPP Conference is headed to sunny San Diego! The Conference will be held from Sept 25-28; register now.